When you simply cannot find what you need on the shelf, turn to North Houston Construction & Design in Houston, Texas, for the custom cabinets and doors you need. We listen to your exact specifications then design your door or cabinet exactly how you envisioned. Everything here is built from scratch. 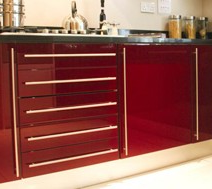 Simply provide us with a set of drawings and we create your dream cabinets based on your vision. We specialize in commercial laminate cabinets although we also create wood grain cabinets and anything else for which your particular specs may call. If you want an entry door that is unique, not mass-produced, or of a certain size, we are here for you. We make custom entry doors of any size using your selection from a huge variety of wood options, including ash, cherry, oak, and walnut. Additionally, we are able to incorporate glass that is custom-made to fit perfectly into your entry door. Servicing both residential and commercial customers, we are able to create any entry door that you have seen. No matter what cabinet style you would like, we are here to bring your dream to life. We make solid wood cabinet doors that are custom-built to your exact specifications. When you choose our cabinet construction specialists, we eliminate your headache by handling every step of the process for you. Contact us for custom doors and cabinets for your home or office.